Transfer News 2016-2017. Premier League giants Arsenal and Manchester United are keeping tabs on Yaya Toure’s situation, according to SkySports. Premier League giants Arsenal and Manchester United are keeping tabs on Yaya Toure’s situation, according to SkySports. 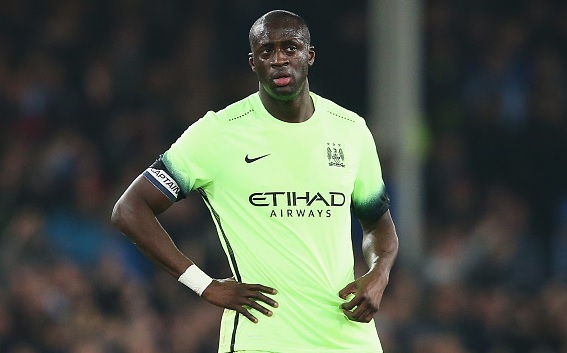 Yaya Toure’s days at Manchester City is likely to end once the transfer window reopens in January. The reports have been continuously revealing since yesterday that the Ivorian is keen to leave the club after the exclusion from Champions League squad. Also Read: Arsenal Transfer News! Citizens’ new manager Pep Guardiola has named a 21-man Champions League squad recently and did not include Toure in it. The 33-year-old has been linked with Serie A sides in the past and now English giants including Arsenal and Manchester United are keen to sign the former Barcelona midfielder. His agent Seluk revealed that he has received several offers from China, Turkey, United States and Italy. Further he cleared that his client is not interested to stay in England. Toure has entered the last year of his contract. He has lifted two Premier League titles since his move from Barcelona six years ago. Seluk further added that Toure is looking to sign a precontract for the winter move. Currently, he is deciding which place to go next.